We’ll be firing up Stella “the Still” Culpepper along with Mass Collective and distilling aromatic hydrosols for your sniffing pleasure. Join Lorna Mauney-Brodek as we make remedies to stock the apothecary of the Herbalista Free Clinic. Herbalista Free Clinic provides earth-based care for Atlanta communities in need of healthcare but unable to afford it. We will make batches of some of our most needed herbal preparations, reviewing a variety of medicine making skills from beginner to more advanced techniques. 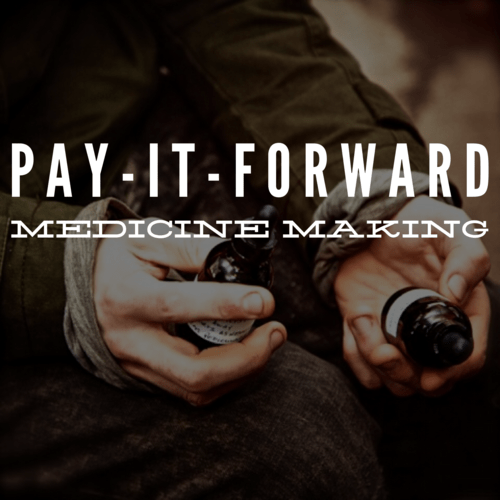 Participants will go home with new skills, a sample of their creations, and the knowledge that they have made batches of sweet, sweet herbal medicine to nurture their neighbors. Cost: We try our best to keep these classes affordable and accessible and so offer sliding scale payment arrangements. You can view the sliding scale and register here. 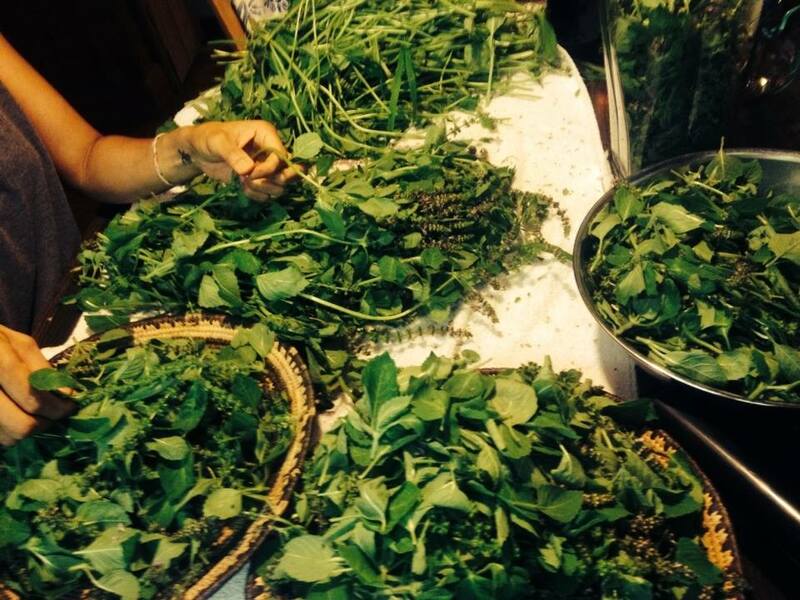 Herbal medicine can truly be a medicine by and for the people! One way to demystify herbal medicine and to encourage folks to practice herbal self-care is by setting up HerbCare Stations. We have installed HerbCare Stations (aka self-care stations) at community centers, co-housing facilities, occupations, shelters, and offices. We’ve pushed them around on carts and set-up pop-up HerbCare stations in city parks and at health fairs, festivals and gatherings. These mini-health stations offer folks a chance to care for themselves with herbs and vitamins. It is a chance to both heal and to learn! If you are interested in creating an HerbCare Station in your neck of the woods, please come to this free class, hosted by the Georgia Herbalists Guild at their April monthly meeting. We will set up a station at the meeting so you can see how they work, discuss important safety considerations, and hopefully answer any questions you might have! Cost: FREE! The Georgia Herbalists Guild as our local chapter of the American Herbalists Guild is dedicated to providing herbal education to the Georgia Community. 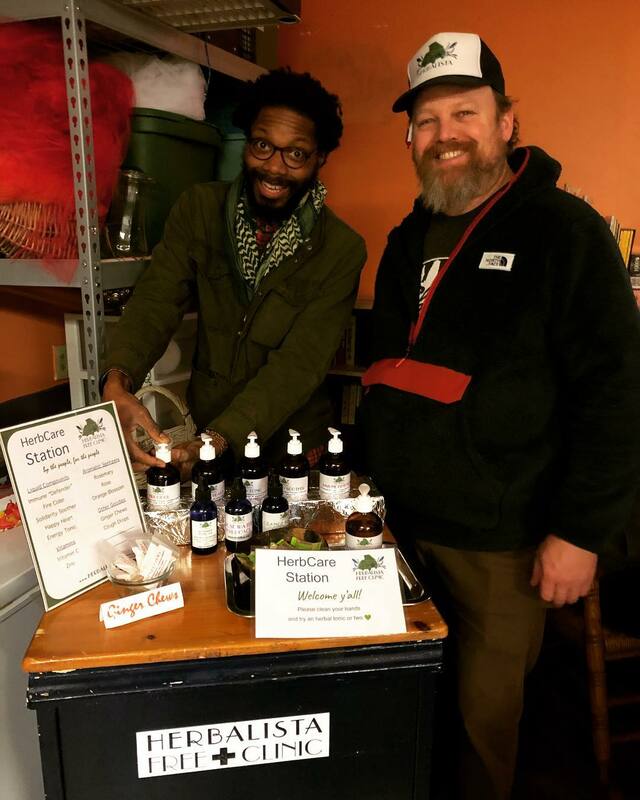 Learn more about the Georgia Herbalists Guild. An Herbalista Free Clinic Fundraiser, hosted by Homestead Atlanta. A by donation class to benefit the Herbalista Free Clinic! One of our most popular workshops! 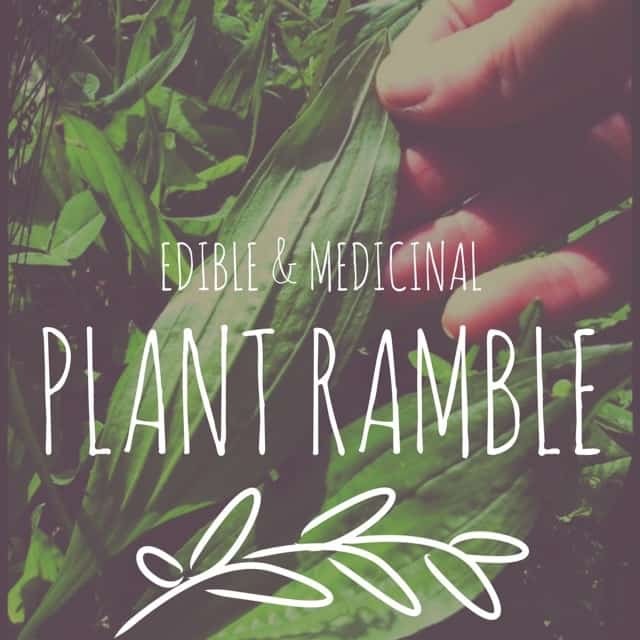 The land around you is chock full of edible and medicinal plants – come discover what’s in your back yard and how to properly identify plants. Plus, get to know Atlanta’s local Food Forest at Browns Mill! Join Lorna Mauney-Brodek to discover the bounty spring has to forage, even in the urban landscape. Plus this workshop is by donation only, and the entirety of your contribution goes to help the underserved receive herbal healthcare via the Herbalista Free Clinic. Please RSVP at our Facebook page so we can get a headcount. Join Tim Hayes of Hearthfire Farm & Nursery and Herbalista Free Clinic at our next Grow a Row Skillshare. Plus, get to know Atlanta’s local Food Forest at Browns Mill! This gathering will focus on proper drying of herbs for all you Atlanta herb growers! It’s so important to dry our herbs in a manner that preserves both the quality and vitality. We hope to share and demo several methods for drying your herb harvest. This gathering is free and open to the public, but please confirm your attendance so we can have a basic headcount. Tim will also be selling herb babies at the end of the workshop. Join Christina Gibson to discover the bounty spring has to forage, even in the urban landscape. Plus this workshop is by donation only, and the entirety of your contribution goes to help the underserved receive herbal healthcare via the Herbalista Free Clinic. 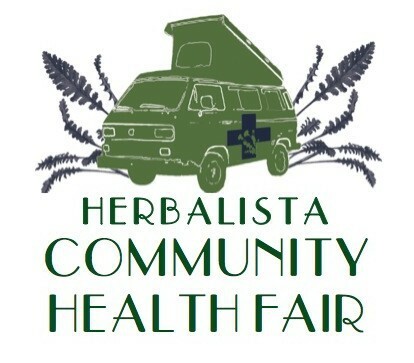 Our health fair team takes the month of July off to rest and restore. We hope you all are staying cool and hydrated in this hot summer month. Herbs to keep cool in summer heat include hibiscus, watermelon, and cucumber! Cost: $675 – $750 (cost includes manual, all materials & supplies) Payment Plans and some financial assistance available. 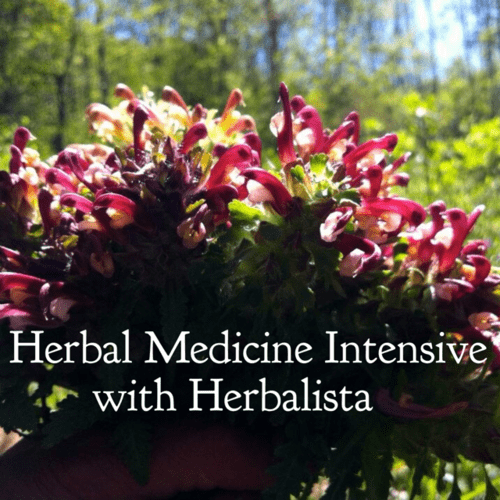 This 50 hour herbal intensive was designed with the community herbalist in mind. 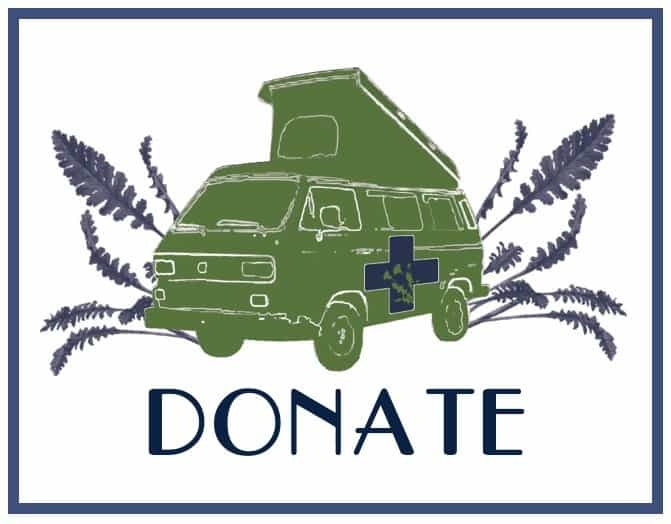 We focus on practical skills, locally accessible herbs, affordable materials and methods, and effective therapies. You will leave this program prepared to utilize herbal medicines for common ailments, make preparations for your friends and family, and move into more advanced trainings. 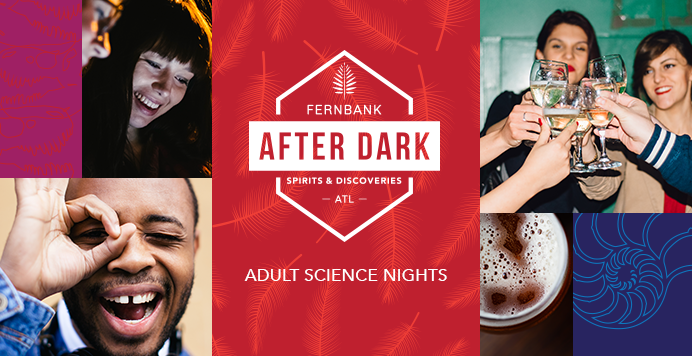 By taking this intensive, you will have the opportunity to learn about other Herbalista Projects, such as our monthly Health Fair and Grow a Row program, service-learning opportunities that can further develop your herbal knowledge while building a stronger, healthier Atlanta!